A 'Tribute to a Great Golf Tournament! We broke all the records at the 12th Annual CPLC Classic Pro-Life Charity Golf Tournament held October 22, 2012 at the premier Tribute Golf Club, with the most golfers, the most life-saving proceeds raised, and for the first time, the presentation of the Bishop’s Cup by a bishop – Auxiliary Bishop Mark Seitz! Save the date for next year at The Tribute on October 21, 2013. Special thank you to committee members Bill Dowd, Bill Orender, Paul Stanzel and Erv Prince for their part in making this our most successful tournament to date. 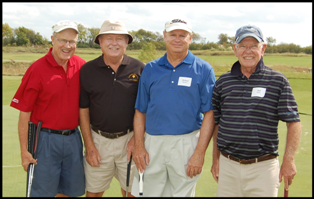 Thanks also to all our business sponsors listed at prolifedallas.org/golf. We invite you to support them, because they support life. See more pictures here. On Nov. 17, the CPLC hosted its 7th annual Christ Child Christmas Market and Luncheon. Along with Christ-centered gift shopping, guests enjoyed an inspiring program featuring Father Jason Cargo’s reflection on the significance of the Annunciation when the Virgin Mary welcomed the arrival of the Christ Child, first as a child in her womb. 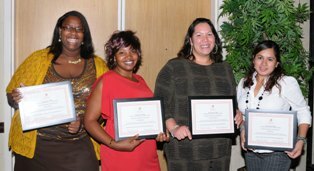 We also celebrated four other mothers at the luncheon − our most recent graduates of the Gabriel Education Ministry & Support (GEMS) program.